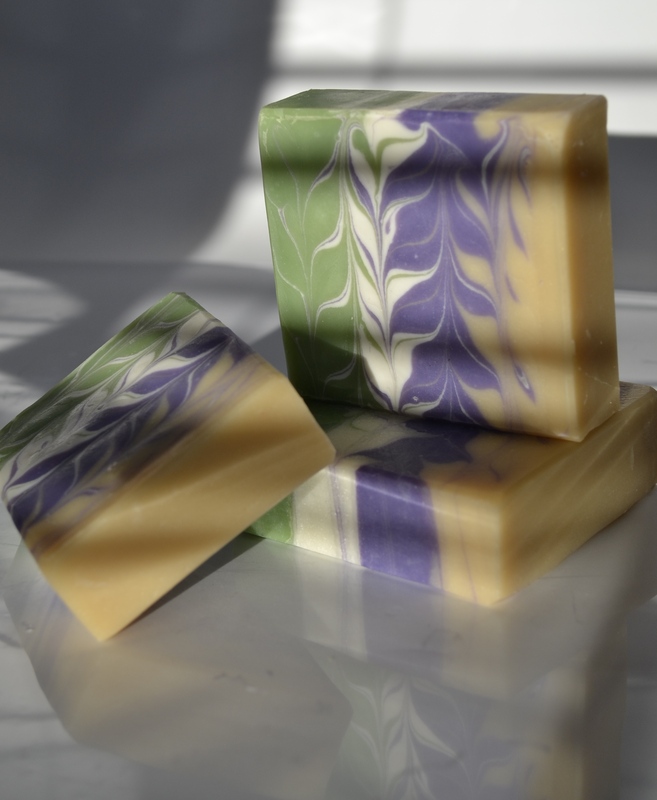 I was happy that this month’s challenge is the Taiwan Swirl because I had seen a number of soaps with this design but I have never attempted it before (perhaps because I was not sure how it was accomplished). 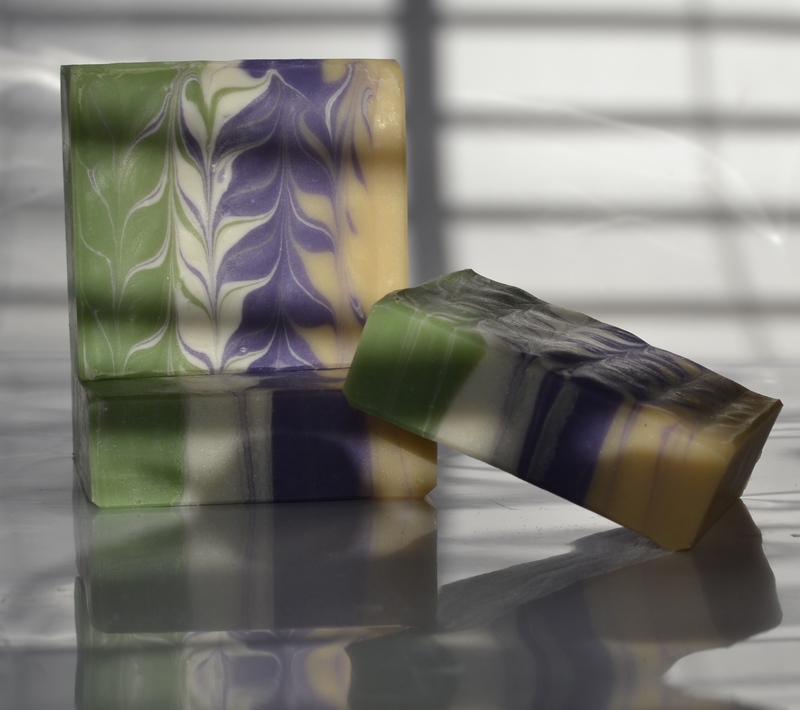 As usual Amy provided a video explaining how to do the swirl and I was surprised that such pretty soap was relatively easy. The trick is in cutting the bars. For this challenge I decided to use four colors because I had a set of dividers that would work perfectly to assist me with pouring even rows. I choose White Tea & Ginger for the fragrance since I knew it would give me time to work and used sparkle gold mica, titanium dioxide, cosmos martini purple and a mix of greens. 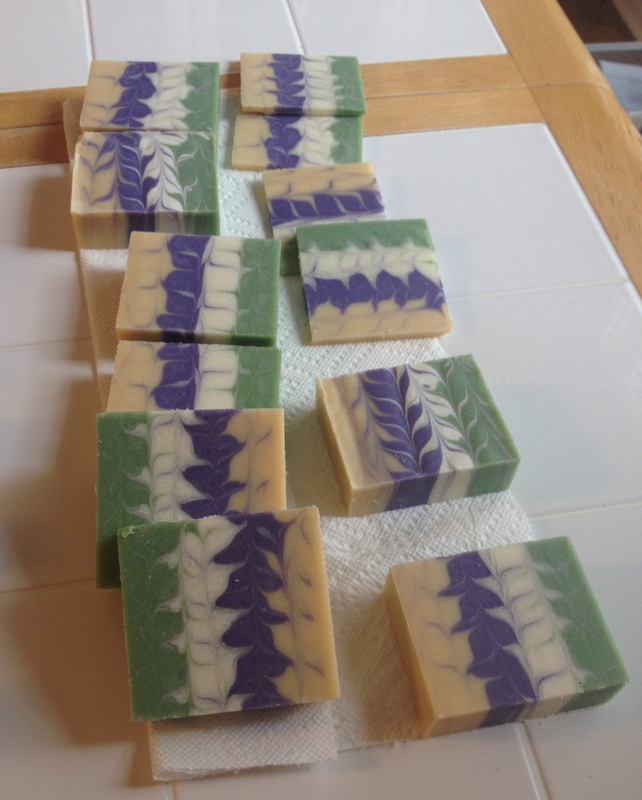 Here are some photos of making the soap – sorry they are not the best since I used my phone to take the pics. 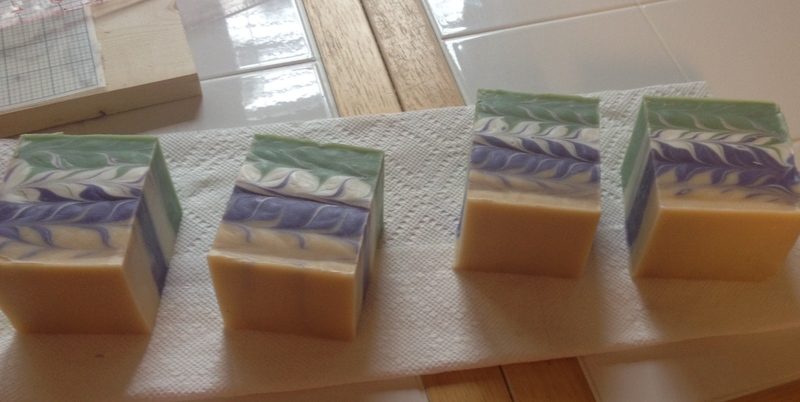 Soap is about half poured. Then you make a few horizontal passes with your swirl tool and you have your Taiwan Swirl. I was thrilled to see that the swirl went all the way through the soap and the bottom looked a lot like the top. With this design you cannot just cut it in slices as you normally would or the pattern would be lost. 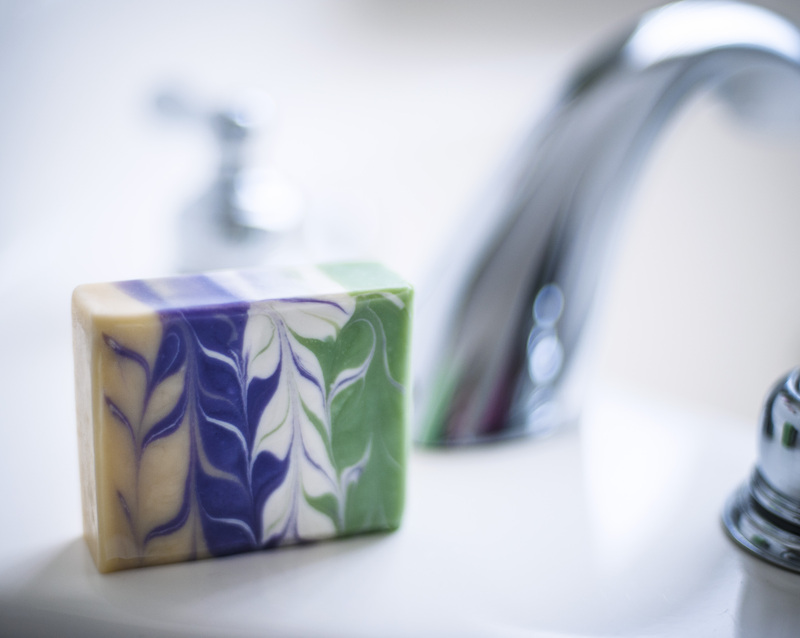 First you cut it into sections the width of a bar of soap. Then you slice it horizontally. Thanks Amy for another fun challenge. This is a design that will be making again soon.